Hard PVC inner lining is smooth and excellent in drainage performance, eliminating any impact on flowing capacity. 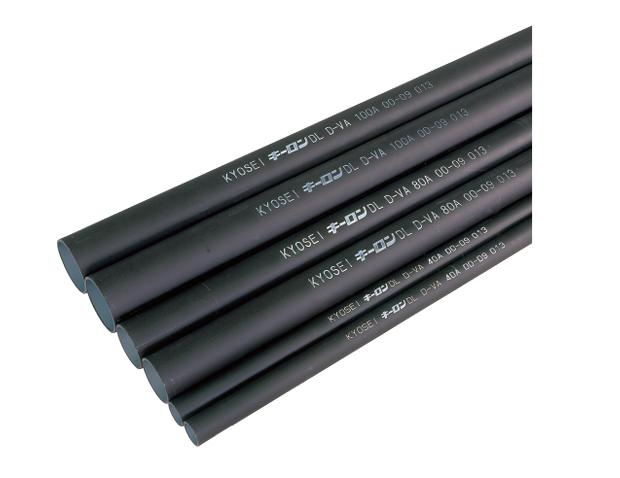 Adopting thin-wall steel pipe equivalent to JIS G3452 in outer surface, these pipes have excellent strength against external force and are suitable for wastewater, drainage, and ventilation in buildings. Standard product under Japan Water Steel Pipe Association (WSP042). Note: 125A can be produced to order.